Going green is all the rage...and with good reason! While new construction homes are continuously evolving their eco-friendly features (something found much less often in resale homes), there are plenty of quick fixes that you can do around the house to help the planet, save energy and even spare your wallet. Here are just a few easy ways to keep a ‘green’ home, according to Good To Be Home magazine. 1. Turn down your thermostat a little...and save a lot. Turning the temp down a few notches can save energy--and money--in the long run. Utilize this tip when you’re planning to leave the house before work and before you go to bed. Even one degree makes a difference! 2. Goodbye incandescent, hello fluorescent. While fluorescent bulbs are pricier, incandescent bulbs use up lots more energy. According to Good To Be Home and The Huffington Post, you can save up to 66% more energy just by making this small change around the house. 3. Turn off all extension cords. For those electronics that are plugged into a multiple-outlet extension, turning off the entire extension while you’re asleep or away can save huge amounts of electricity. Be eco-friendly with the flick of a switch! This one’s easy. During daylight, open windows and let that natural sunlight flow freely! 5. Invest in low-energy kitchen appliances. If you’re looking to move into a new home, revamp your kitchen with low-energy appliances. Similar to #2, these home goods will cost more initially, but are better for our planet. Did you know that plants improve the air in your home? Add some nice decorative greenery and start breathing in cleaner air! You can even do a little research and find the best horticulture options for your home. Looking to make a big change this spring? Relocate to Lake Carolina’s beautiful master-planned community! Explore their array of new home floor plans here. This tip is the oldest in the book...because it works! If you haven’t been working out regularly, find out if you enjoy a quick run before work or if you prefer winding down your day with a jog before bed. Even for morning people, squeezing in a workout (especially before heading to the office) can be an adjustment. However, most people find that it gets easier, boosts your energy and brightens your mood for the rest of the day! Others prefer to hit the gym right after work (often, going home first can be detrimental to motivation), while some find that working out right before a shower and bed is the perfect end to a night. Find what works for you. Be consistent. Stick with it. 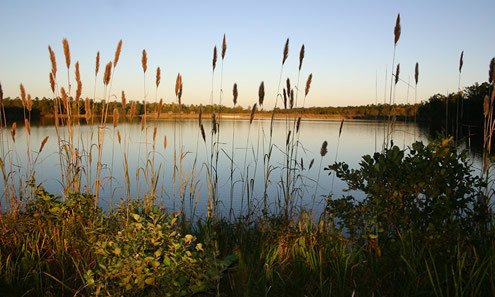 BONUS: The Lake Carolina Development has over 30 miles of gorgeous walking trails. Take advantage of these beautiful paths when you’re walking the dog, taking a stroll with loved ones or training for that 5K! Most of us workout with a purpose. Whether it's to reduce stress, tone up or simply engage in a healthier lifestyle, your fitness routine should have a purpose! This can be vital to keeping motivation high. Many people use their relaxed summer schedule and beautiful sunny days as incentive to start fresh in terms of healthy habits. This May, begin to set specific goals for a specific time frame. Make sure to keep them realistic and consider creating both a long-term and a short-term plan! 3. Put that iPhone to use! Nowadays, you can find an app for just about anything! Both the iTunes and the Google Play collection have a whole slew of fitness/health apps. While many require a small fee, some really great picks don't cost a dime. If you're looking to track nutrition, MyFitnessPal allows you to chronicle calorie intake, fitness routine and the amount of water you’re drinking. For runners, apps like Strava connect with your location and track your distance and speed! If you’re able to join a fitness center, try it. Often times, these facilities offer a free or discounted trial period. Purchasing a monthly membership can help peak motivation to get up off that couch and use the pass you've put well-earned money towards. Like tip #1, it’s crucial to find a place that suits you. If you’re into cardio or lifting, check out local gyms. If you’re into yoga, pilates, Zumba or cycling, look into nearby studios. Fortunately, many of these places include a bunch of these things for you to try. BONUS: Lake Carolina’s Town Center is home to the Fuel Fitness and Dance studio! This unique studio offers classes on ballet barre, aerial silks, dance and more. It also caters courses specifically towards children, teens and adults. 5. ...and then join a class! Classes at a studio or gym can be one of the best ways to stay consistent with your routine. Not only will you undergo structured workouts on a structured schedule, but there’s a big accountability factor! It’s also the perfect way to get involved with the local community, socialize with others who are pursuing the same goals and make new friends! Want to spend your summers as part of a thriving community? Check out our homes for sale in Columbia, SC. With February 14th quickly approaching, love is in the air! Get your entire clan in the holiday spirit with these five simple Valentine’s Day “hearts and crafts”, perfect for the littlest members of your family. Let the little ones help decorate your home with this easy craft. Simply grab some colored paper (preferably pink, red and white) and cut strips of equal length. Fold and staple the strips by following these simple directions and voila!...You have yourself a Valentine’s Day wreath! Take this craft one step further and let kids decorate the paper with glitter, paint or markers before folding and stapling. Take coloring to the next level with this awesome experiment. Kids can gather those broken, beaten-up Crayola crayons and melt them into a silicon heart mold. Let them mix and match colors to create blended two-toned shades. Once they’re melted and ready, use them for fun coloring or as a little gift inside Valentine’s Day cards! Even the tiniest members of your family will love this simple (albeit slightly messy) Valentine’s Day fun! Using thumbprints and paint, create heart-shaped masterpieces similar to the one shown here. Consider using this quick craft to create handmade Valentine’s Day cards! Ditch the Play-Doh for a day and create memories that will last a lifetime. Whip up this homemade clay using a few simple ingredients and let kids mold their own Valentine’s decor. To stick with a festive theme, shape the clay into a heart and let kids personalize the clay with paint once the hearts are dry. These creations are the perfect gift for loved ones or for decor around the house! Create a collection of cute critters by simply cutting and folding paper hearts! Follow this guide to make your little one’s favorite animal using this simple Valentine’s Day-themed craft. Looking to relocate your family to a beautiful master-planned community? Check out Lake Carolina's homes for sale, including Fort Jackson and Shaw afb housing for families who need to be close to the Fort Jackson and Shaw Air Force Base. Celebrate a day early by participating in Columbia’s annual Cupid’s Chase 5K held on February 13th! This popular race, put on across the nation, helps to raise money for those with disabilities. Give back this Valentine's Day and spread the love! Once you’ve logged a few miles with Cupid’s Chase, start February 14th with a romantic walk through the beautiful botanical gardens of the Riverbanks Zoo. The exquisite gardens boast an “unparalleled beauty” and have been ranked highly by Horticulture Magazine and HGTV! Stroll through 70 spacious acres to start your Valentine’s Day off right. Next, plan a romantic five-course meal fit for a king! Columbia’s The Melting Pot location will be hosting a spectacular full course dinner on the weekend of Valentine’s Day. From delicious cold water lobster tail to the restaurant’s famous “cookies and cream marshmallow dream chocolate fondue," this meal is hard to beat. Bon Appetit! Once you’ve enjoyed an elegant (and delicious) dinner for two, make a few memories with Columbia’s other celebratory events. Embark on a relaxing and romantic journey aboard The Spirit of Lake Murray. Known for its fun and exciting boat rides across the lake, ‘The Spirit’ will be the cherry on top to a perfect date! If a chill wine night is more your style, book a wine and painting date at the Studio Cellar! Participants will team up with their date to create a two-panel masterpiece...all while indulging in some delicious wine! Looking to make Columbia, SC your home? Check out Lake Carolina’s gorgeous new homes by clicking here!